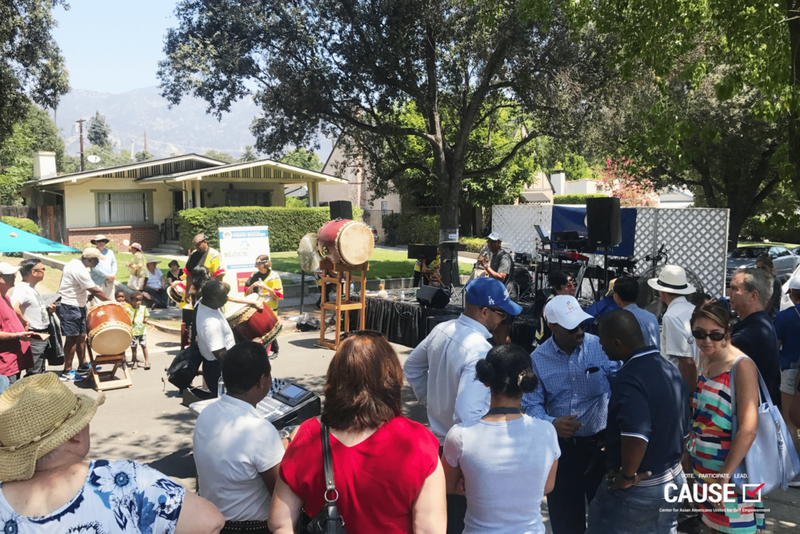 Assemblymember Holden’s Annual Block Party and Community Resource Fair was a tremendous success after many months of planning and hard work! It was great be a part of the team at the District Office that orchestrated such an exciting and smooth program. My main task for much for the event was to staff the Assembly District 41 table, planted right in front of Mr. Holden’s craftsman home. Truthfully, I was a little nervous when I found out about this assignment. It seemed like a lot of pressure to put on an intern. Essentially, I had to serve as the face of the district office for the duration of this event’s program. However, I surprised myself with how easy I found the task to be. I was able to speak with so many members of the local community, many of which are Mr. Holden’s neighbors. So many people came up to my table just to share their positive feedback on Mr. Holden’s work. It was a truly unique opportunity to sit at that table and contribute to the community in a small, but meaningful way. The great part about that Assembly District 41 table is that it was situated right near the stage. While I was working, I was able to get a pretty clear view of the performers – such as the taiko drum group and Aztec dancers. All the performers that day were really wonderful. They did a great job energizing the crowd and showcasing some of the local community talent. During my breaks, I took it upon myself to walk around and observe the impact of this longstanding tradition. I looked around and saw Mr. Holden’s family members catching up with old friends on their neighbors’ porches. I shook hands with several people who have been attending or volunteering at the Block Party since its inception. I met so many of Mr. Holden’s nearby neighbors who look forward to this event every year. With each new person I met, I realize more and more that this is not an event for Assemblymember Holden – this is for the community. The attendees not only look forward to this event every year, but also cherish it as a annual neighborhood tradition. It was so humbling to see how the Block Party has contributed so greatly to our community. Because I worked through the whole event, I was not able to meet up with the bike valet coordinator until we started packing things away. When I did meet with her, she told me that the bike valet was a great success! Several people were able to use their service, even a few local councilmembers came on bike. I am so happy that I was able to contribute to this event in that way. With this internship soon coming to an end, the Block Party is one of the last big assignments I had. I am so happy with the outcomes of this event and feel so grateful to have worked with the District Office team. On a final note, I learned that day about a little-known fact that Mr. Holden owns an adorable (and massive) Saint Bernard named Jackson. As if Mr. Holden’s community leadership did not impress me enough, meeting Jackson just further asserts what a really cool person he is.